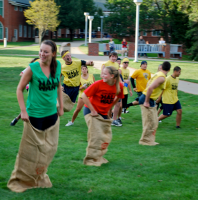 Hall Wars, held by Sigma Phi Epsilon, brought residence halls together Sunday on the Quad as they competed in a wide variety of games. 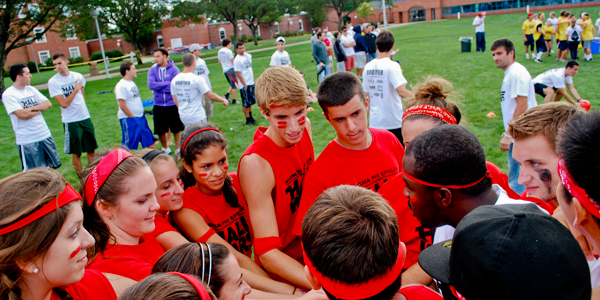 With kickball, soccer and even an inflatable obstacle course, teams competed in order to gain points for their hall. 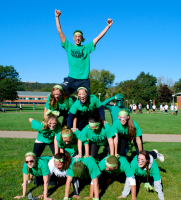 At the end, four teams representing each hall competed against each other in tug of war, dodgeball, and a relay race for the finale. After SigEp tallied the scores it seemed that Suites had won, but after a recount Irma/Dana was named champions.